This genus is accepted, and its native range is Madagascar, Tropical & Subtropical Asia to Pacific. Claoxylon albiflorum Pax & K.Hoffm. 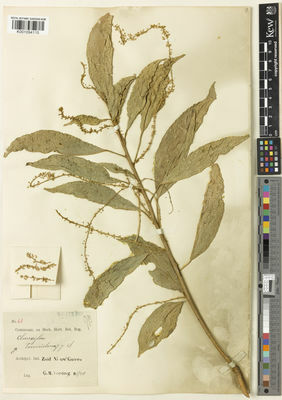 Claoxylon bicarpellatum K.Schum. & Lauterb. Claoxylon brachyandrum Pax & K.Hoffm. Claoxylon carolinianum Pax & K.Hoffm. Claoxylon crassipes Pax & K.Hoffm. Claoxylon crassivenium Pax & K.Hoffm. Claoxylon glandulosum Boivin ex Baill. Claoxylon hainanense Pax & K.Hoffm. 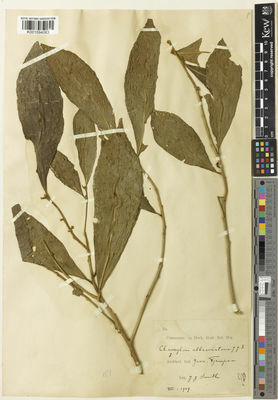 Claoxylon indicum (Reinw. ex Blume) Hassk. 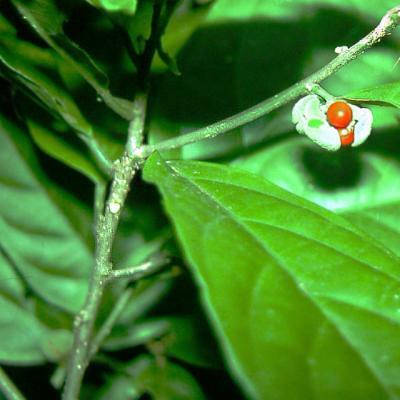 Claoxylon kingii Hook.f. ex Ridl. Claoxylon longifolium (Blume) Endl. ex Hassk. Claoxylon lutescens Pax & K.Hoffm. Claoxylon nervosum Pax & K.Hoffm. Claoxylon oblanceolatum (Merr.) Pax & K.Hoffm. Claoxylon pseudoinsulanum Pax & K.Hoffm. Claoxylon rubrivenium Pax & K.Hoffm. Claoxylon samoense Pax & K.Hoffm. 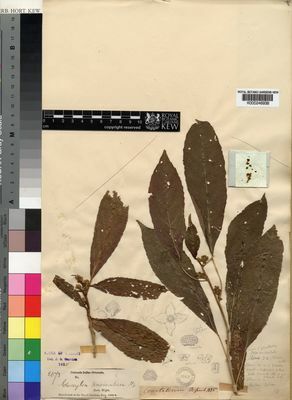 Claoxylon sarasinorum Pax & K.Hoffm. Claoxylon spathulatum Pax & K.Hoffm. 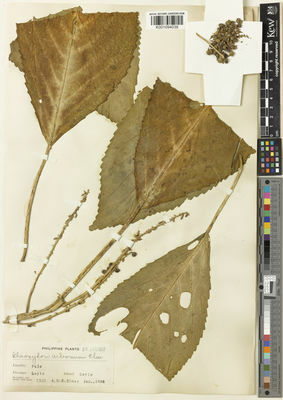 Claoxylon tenerifolium (F.Muell. ex Baill.) F.Muell. Claoxylon warburgianum Pax & K.Hoffm. Claoxylon winkleri Pax & K.Hoffm. Forster, P.I. (2007). A taxonomic revision of Claoxylon A.Juss. (Euphorbiaceae) in Australia Austrobaileya 7: 451-472. Govaerts, R., Frodin, D.G. & Radcliffe-Smith, A. (2000). 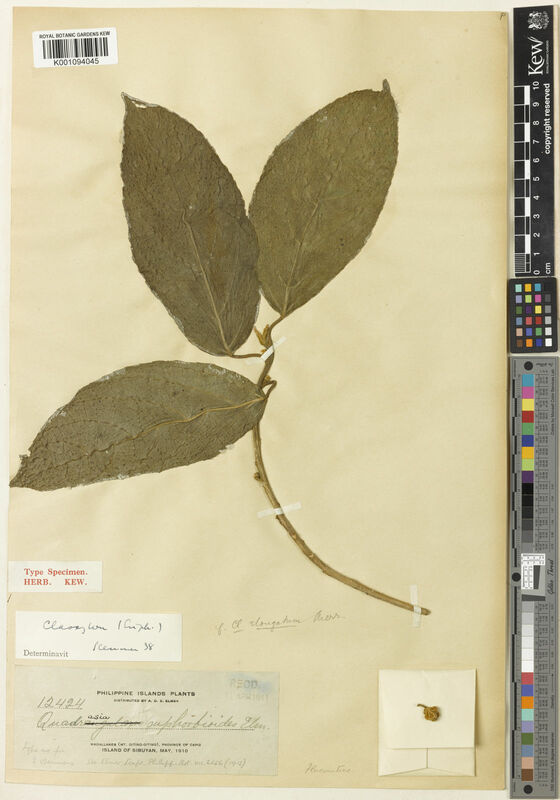 World Checklist and Bibliography of Euphorbiaceae (and Pandaceae) 1-4: 1-1622. The Board of Trustees of the Royal Botanic Gardens, Kew.